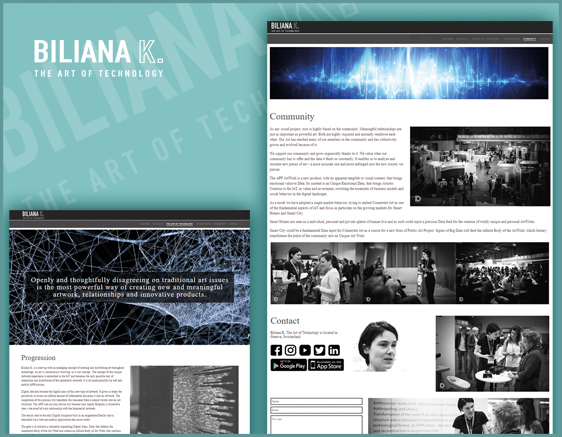 Biliana K. is a start-up hybrid with an emerging concept of creating and distributing art throughout technology. It all revolves around one simple question: What is Art in the 21st Century? The answer we get is that art is no longer just a part of a traditional ecosystem. The Internet of Things is a new universe, home of the new immaterial artwork. 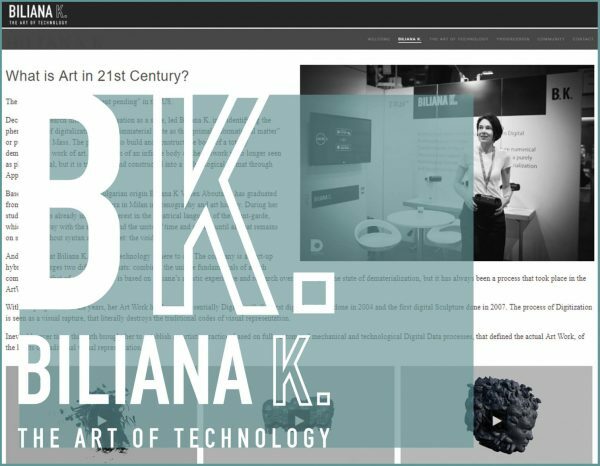 Biliana K. is one of our most interesting clients, a true visionary that challenged us to enter the world of digital art and virtual reality. Our mission on this fabulous quest was designing a website that truly represented the essence of her work. 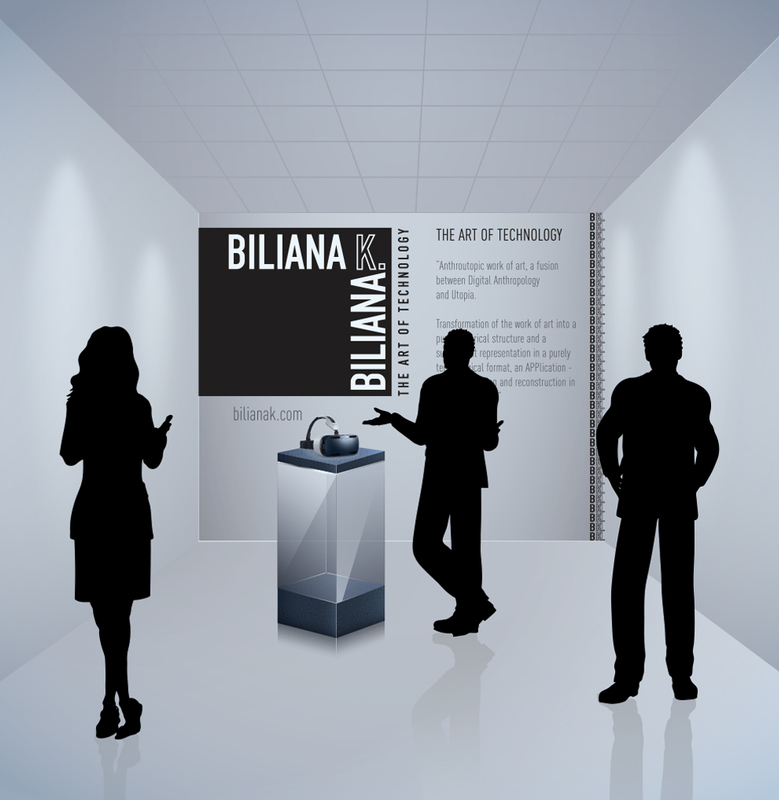 Another challenge was to create and design expo stands for all the art and technology events the artist was invited to. 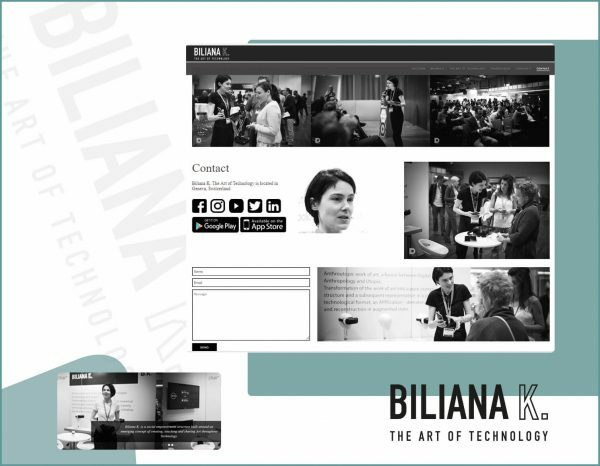 Based in Geneva, the artist of Bulgarian origin Biliana K. Voden Aboutaam has graduated from the Fine Arts Academy of Brera in Milan in scenography and art history. Her digital art came to life with the first digital painting done in 2004 and the first digital sculpture done in 2007. It is all made possible via web and mobile APPlications. 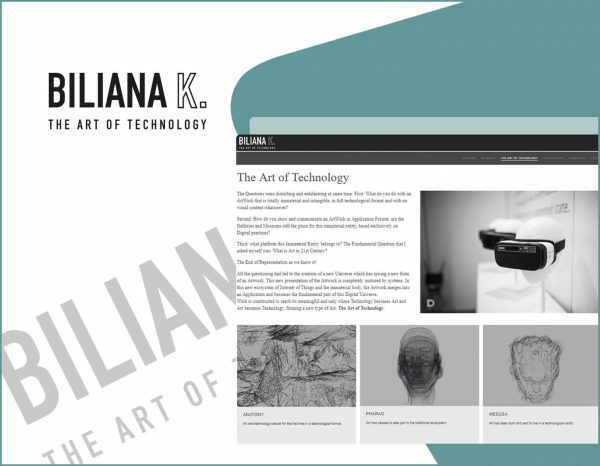 Biliana K’s projects are outstanding and all her work represents one of art’s most disruptive perspectives! We are thrilled to have worked with such an innovative and creative artist!